The Verdict: the perfect bridge between literary suspense and a crime "beach read"
It's no secret: I have a hard time with crime books written from a teenage perspective. This has been a recent realization of mine, and one which I've shared on Instagram. Too often I find that these books spend excess time wrapped up in the classic teenager cliches, and not enough time building a page-turning mystery. Well, my skepticism of this subgenre met its match with THE PERFECT GIRL by Gilly Macmillan. 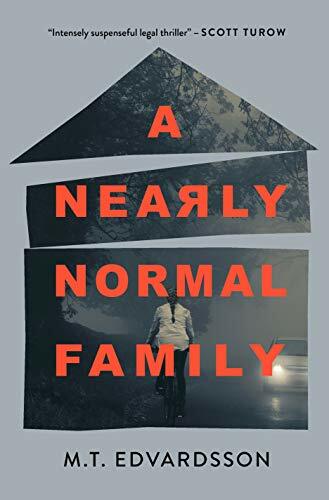 This book moves seamlessly between a teenage perspective and an adult one, and completely drew me into its story of family dysfunction and buried secrets. Zoe is a 17-year old musical prodigy with a genius-level IQ. After serving time in a juvenile rehabilitation facility for a mysterious crime committed in her past, Zoe is ready to embrace her “Second Chance Life” and start anew. Central to Zoe’s new life is her recommitment to her piano playing—music has been Zoe’s lifeline through her past traumas, and she and her mother have been preparing and looking forward to her first piano recital in her new life. But by the end of the recital night, Zoe’s mother is dead—and Zoe quickly learns that secrets from the past never stay hidden, and second chances aren’t always so simple. First things first: I promise, it’s not a spoiler that Zoe’s mother dies in this book. This mystery isn’t centered on discovering what happened – readers know what the book’s central crime is right from the get-go. Rather, this story is all about exploring the facets of the characters’ lives that brought them to that moment in time, and observing the fallout within the family in the wake of a terrible crime. Macmillan uses narrator switches to great effect in THE PERFECT GIRL—sometimes I find alternating narrators tiresome, but in this case, they were just perfect. Macmillan allows readers to get into the minds of Zoe, her family members, and even a lawyer from Zoe’s previous life. This was the part of the book that I enjoyed most: becoming immersed in the messy, often dysfunctional family at the heart of this story. Macmillan slowly and deliberately reveals each of the characters’ secrets—with the end of each chapter, I found myself looking forward to the next chapter narrated by that character, itching to learn more about them. Zoe’s story itself is particularly immersive, and her voice rings true to the struggles and insecurities of the teenage years. Vivid and alarming descriptions of her time in the detention center, her struggle to acclimate to her “Second Chance Life,” and revelations about the bullying she endured before committing her earlier crime made for a well-rounded and engaging main character. Couple Zoe’s character development with an ailing lawyer, a feisty aunt, and a suspicious step father, and you’ve got a truly engaging cast. It’s worth noting that this is more of a suspense novel than a crime novel; yes, it has crimes described within it, and it certainly falls within the crime fiction genre, but it's very distinctly a story profiling a highly dysfunctional family with a few major acts of deception at its core—and unraveling those acts becomes the mystery driving the story forward. This is not a procedural; there are hardly any investigative details. There also aren’t major plot twists or edge-of-your-seat suspense; instead, this book is more of a slow-burning mystery, as characters provide bits and pieces of the puzzle that is Zoe’s mother’s murder. I did predict the story's ending, but that didn't detract from my thorough enjoyment of it. The real meat of this story is in its engaging, three-dimensional characters. THE PERFECT GIRL proves that a good crime book doesn’t need gore, major twists, or excessive violence to capture and hold your attention; a strong cast of characters and an immersive central mystery will do the trick.